Lisbon’s city council will create an urban mobility fund worth € 15 million to finance the management of urban roads. Lisbon’s councilor responsible for finance, João Paulo Saraiva, made the announcement last week during a presentation of the Portuguese capital’s budget for 2017. 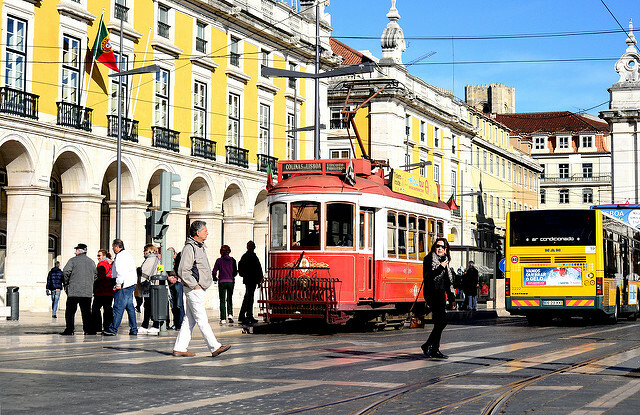 Carris, a public transport company in Lisbon that operates the city’s buses, trams and funiculars, will manage the urban mobility fund. The city plans to raise the money through parking revenues, fines and vehicle excise duty. Saraiva said that the city would take over responsibility for all traffic management, which currently lies with the PSP, Portugal’s national police force. Under the new proposals, the PSP would only intervene in the event of an accident. ‘This is a clear sign that the municipality is committed to take on this responsibility and is able to do so. It will turn, once and for all, the city of Lisbon into a European city,’ Saraiva said. For more information, visit dn.pt (in Portuguese). Image copyright: Lisbon (image on Flickr) by "mgkm photography", licensed under CC BY-NC-ND 2.0.